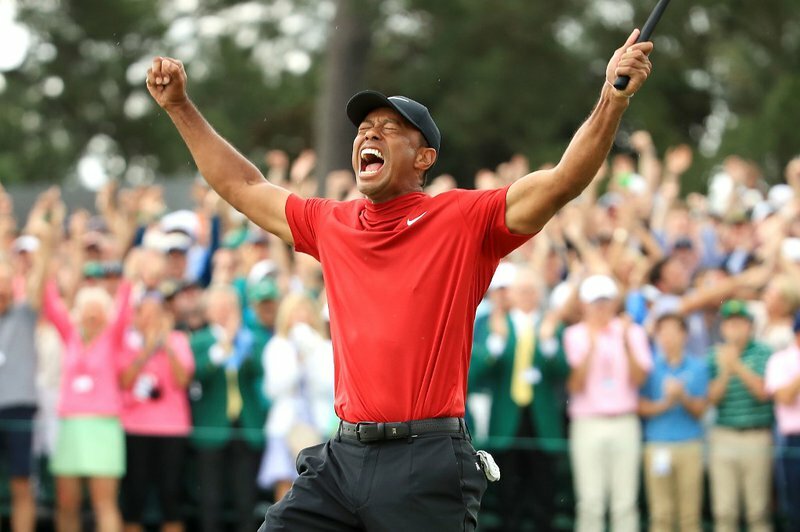 Ending an 11-year major drought, the 43-year-old American superstar -- who underwent spinal fusion in 2017 fearing chronic back pain would deny him life's simple joys much less golf wins -- seized his first major title since the 2008 US Open. "I don't know if there are words -- I'm sure he's ecstatic about it," Koepka said. "To have the injuries and come back and do what he has done, it has been tremendous to watch." "A big well done from me to Tiger," Nicklaus told telecaster CBS. "I'm so happy for him and for the game of golf this is so fantastic." Woods, Molinari, Xander Schauffele, Brooks Kopeka and Dustin Johnson -- with Australian Jason Day in the clubhouse on 11-under and Patrick Cantlay, who also hit 12-under, foiled by bogeys at 16 and 17.